We love to be outside. In fact, most of our free time is spent beneath the trees and alongside rivers. That often means that I don’t update this blog frequently enough. Trust me, I have a dearth of content to add when the weather turns on us. I also have a really cool longterm Hiawatha project that I am working on. That’s all beside the point, back to the story. While I couldn’t think of a better person to spend time in the woods with I couldn’t help but feel like we were missing some quintessential and possibly cliche aspect of being a twenty-something outdoorsy couple. When I told one friend he said that he and his wife had previously been discussing our need for this thing that would enrich our lives. To that end pease help us welcome the missing piece: our adventure dog Copper, king of the north. Right now he is 11 weeks of pure energy and excitement but Chelsea has been working extremely hard to whip him into shape. I know every puppy parent says this but he is a fast learner and might even be a genius. Dare I say smarter than your average honor roll student. He is very personable and loves chasing the blowing leaves. The process of finding a four-legged friend was not as simple as just unilaterally picking one up. We discussed dog ownership extensively and have rearranged our schedules to make sure that time is being set aside to care for Copper. Luckily Chelsea runs The Big Lake out of our home so she gets to spend a lot of quality time with him during the day. We also made sure that we were both on the same page as far as expectations and breed were concerned. We are very active and enjoy a diverse array of outdoor activities. 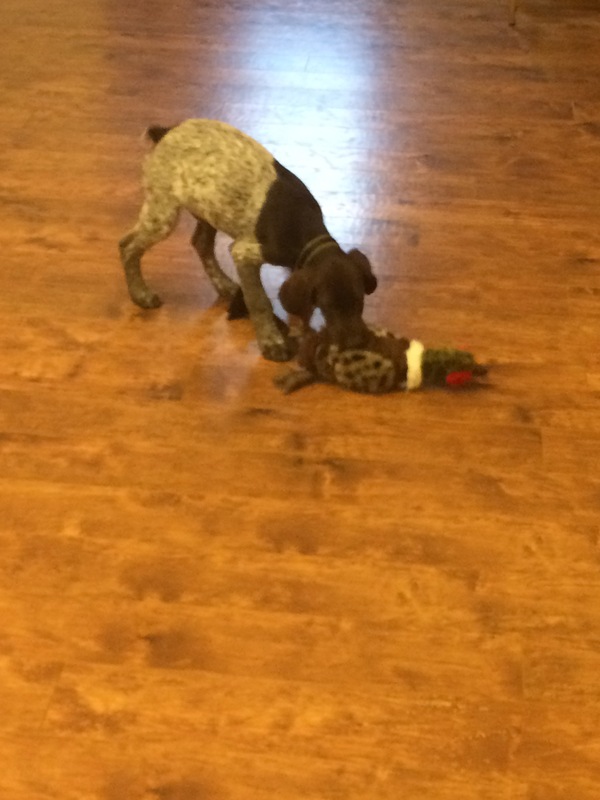 While several different breeds made it to the final elimination round the German Shorthaired Pointer was really only choice for what we do. 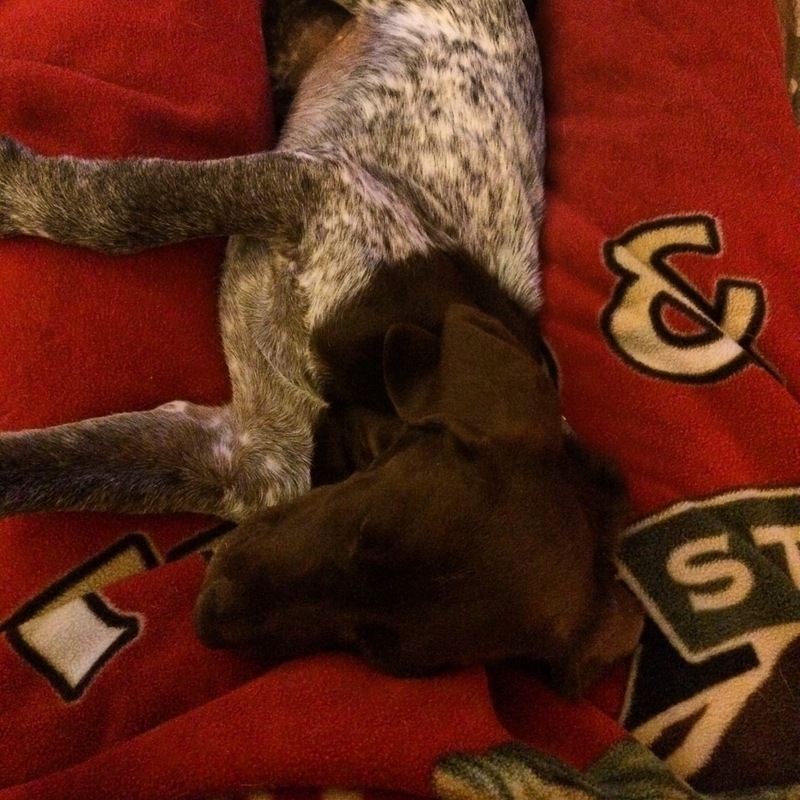 Couple that with the fact that both of our families have had GSP and it was a no brainer. 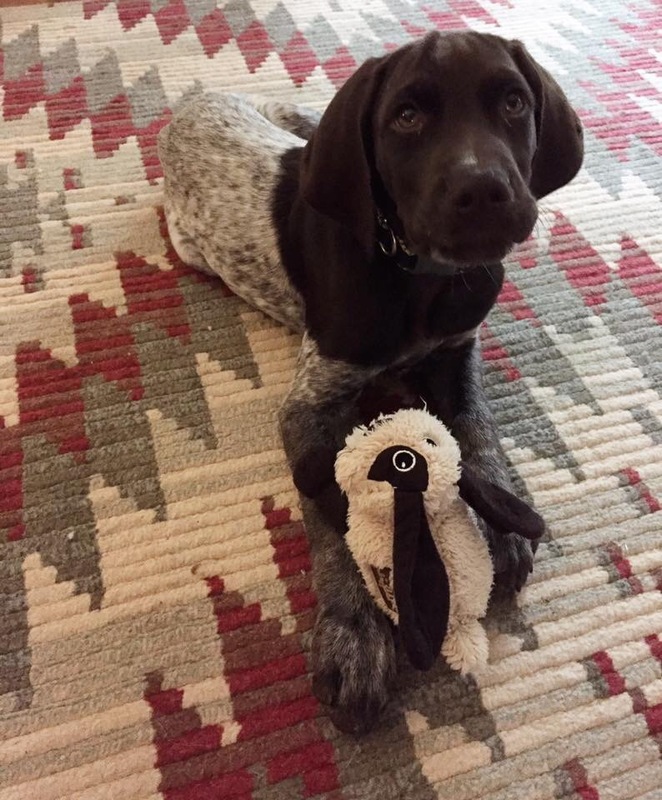 He definitely has big dreams: Climbing hogsback, kicking up birds, prancing down single track, ski-joring, trout fishing, camping, and kayaking. Yes, he will be going everywhere with us and honestly he is probably going to take over our attention and social media feed for a while. We have much to learn and we welcome your input along the way. For example, I just found out that a tired puppy can be jostled awake merely by the sounds of my grumbling stomach. Now he is staring intensely at it. Today after work we will go on our first hike along the river. We probably won’t put down any serious distance but I can guarantee that it will be a learning experience for all of us. The adventure continues, but now it feels a little more complete.